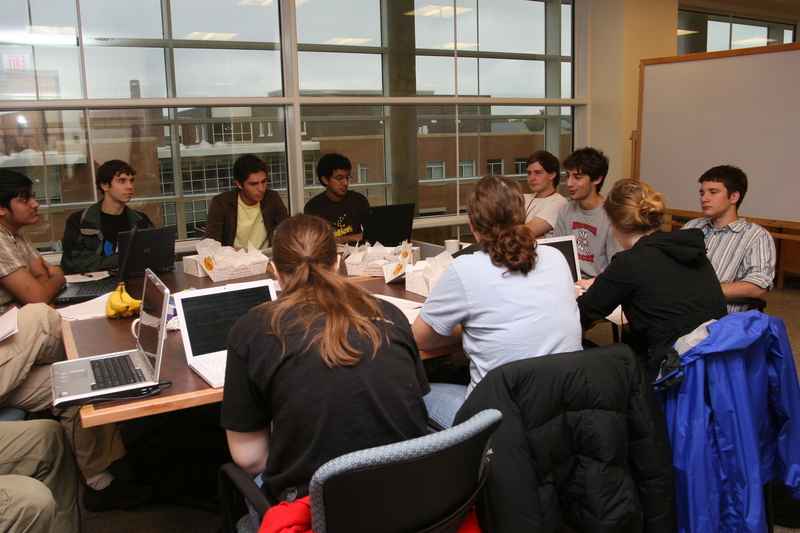 Within Grinnell's Noyce Science Center, each department has a commons and student study areas. 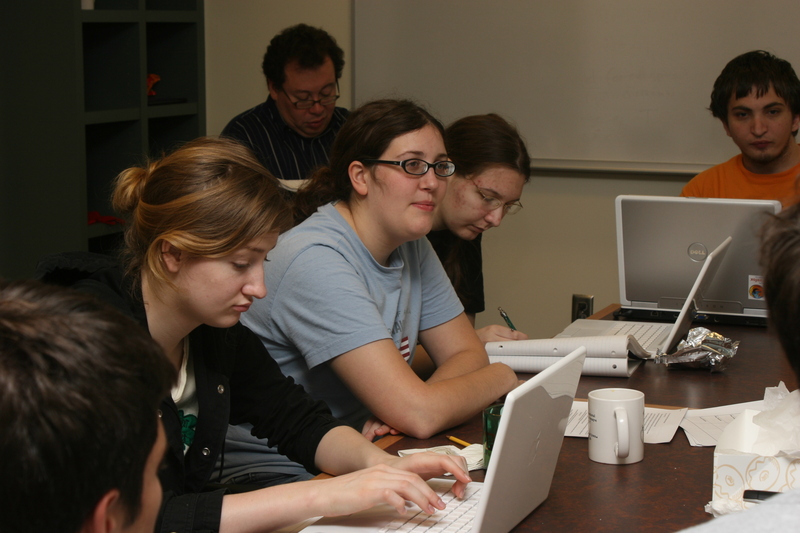 The Computer Science Commons is large and centrally located within the department, with a lovely view of the Rosenfield Campus Center. 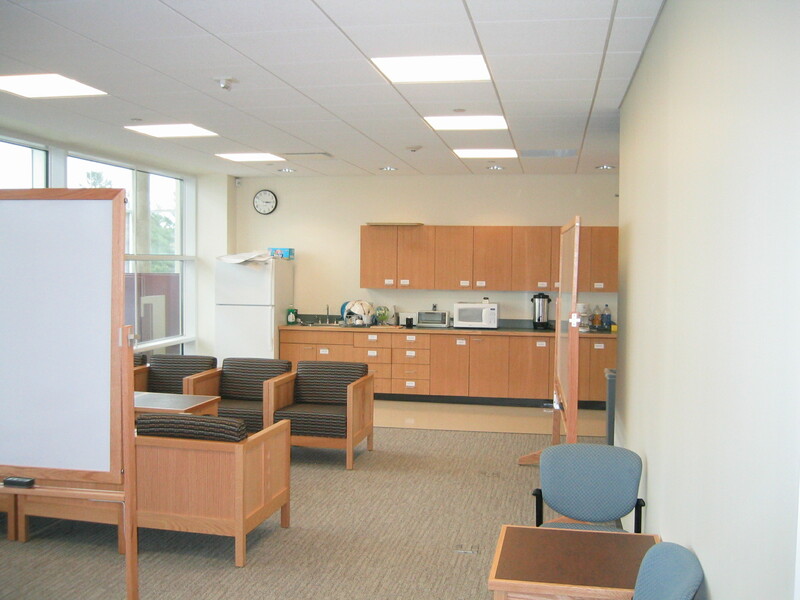 A kitchen area on the east side has refrigerator, sink, microwave, and cabinets to support social functions, such as the weekly Thursday Extras. 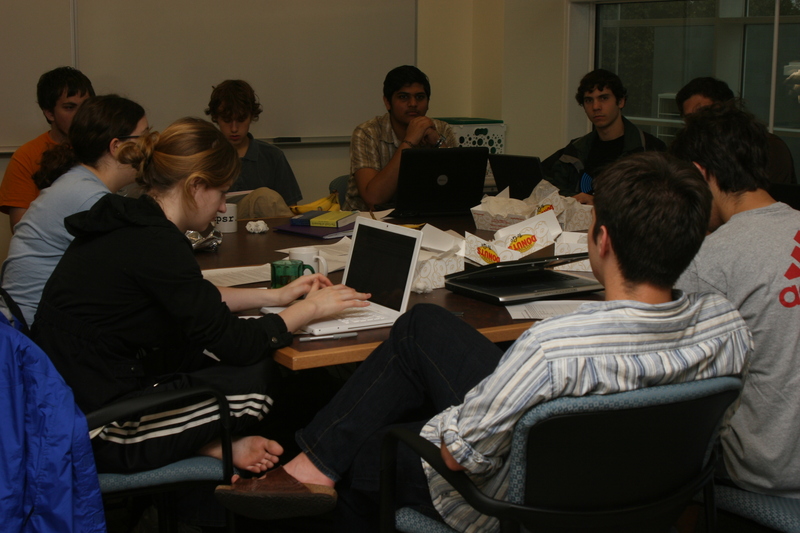 The west side of the Commons has tables, and sometimes is used as an informal classroom. 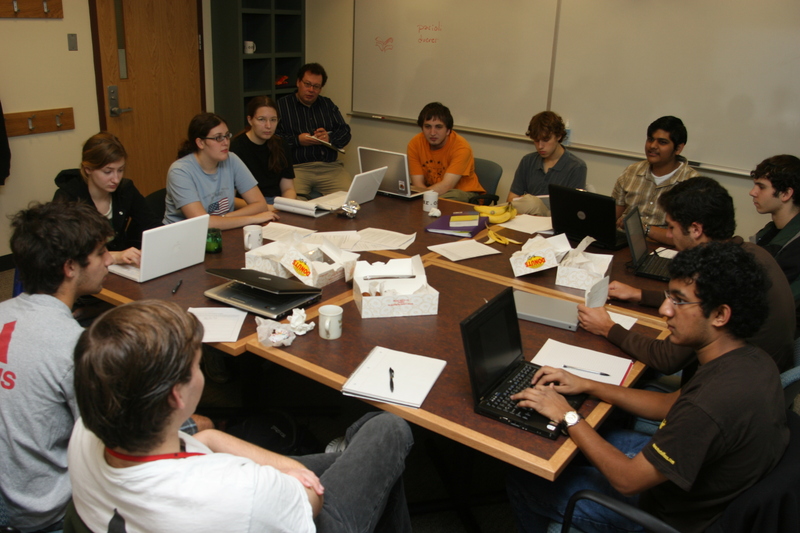 For example, these pictures show meetings of a First Year Tutorial. The Rosenfield Campus Center is seen through the windows of the CS Commons. 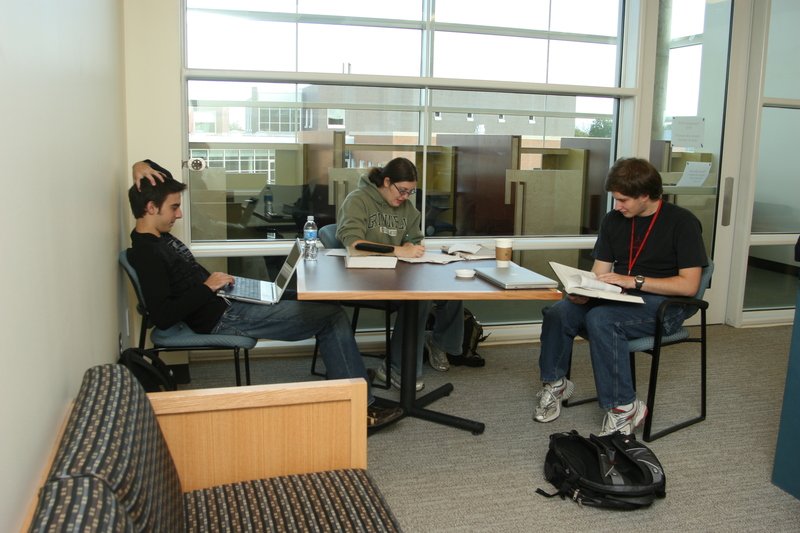 Two student study areas provide spaces for individual study and small-group collaborations. 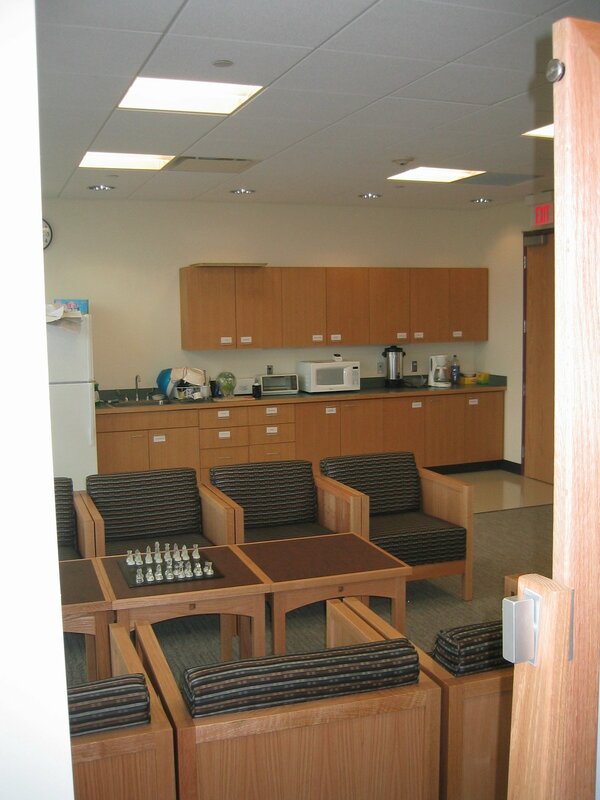 Furnishings include tables, desk-style chairs, and lounge chairs or a sofa. 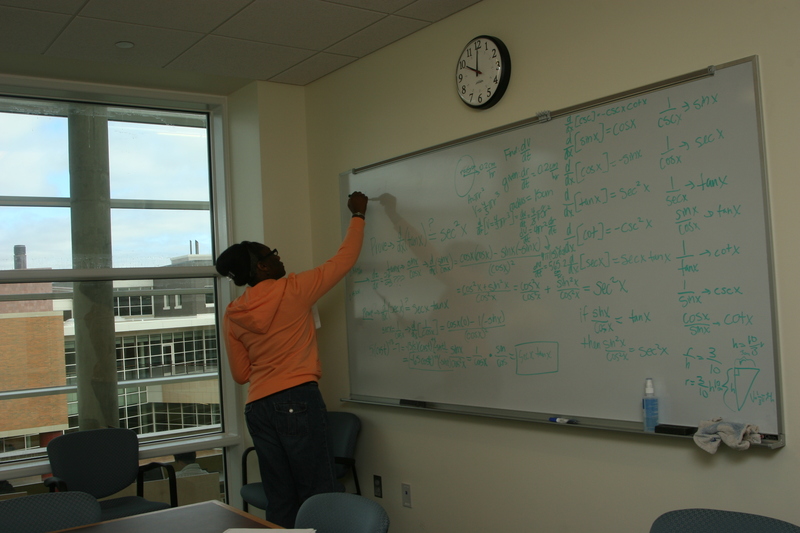 White boards are found in the Commons, study areas, and corridors, as well as in classrooms and labs.